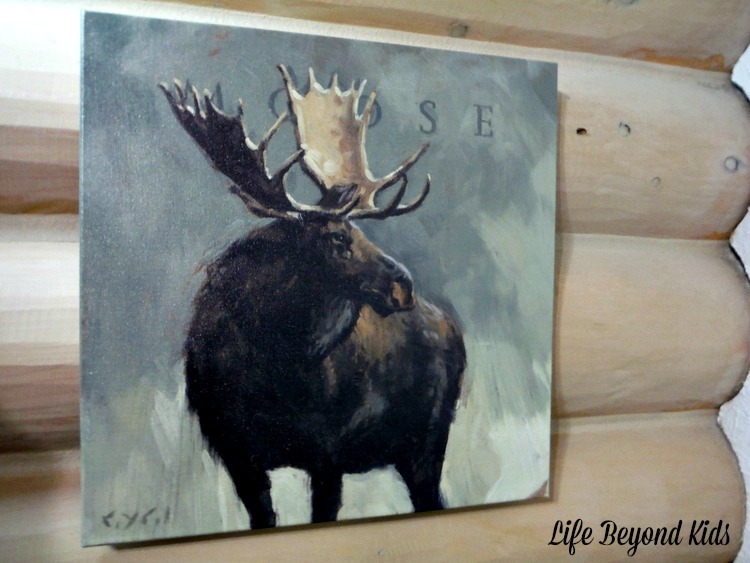 I received a print from The Darren Gygi Home Collection to facilitate this post. All opinions are my own. There are many things which help make a house feel like home. Surrounding yourself with things that you love is key. Beyond big things like your furniture, there are all the accessories including wall art that reflect your style. I am thrilled to introduce you to The Darren Gygi Home Collection which offers home decor artwork to love. Unlike in some of our previous homes, I have not left the walls completely bare. Actually, one of the few paintings we have came with the house. It is a lovely study of trees and water in the fall. We’ve left it right where it was when we bought the house, helping define the ‘dining area’ of our open concept space. At times in the past, I remember decking the walls with large reproductions of famous artwork that were in inexpensive frames. It worked for those early years post college. But, I don’t want to have that same feel now. This means giving consideration to pieces which call to us, look great, are of good quality, and fit the overall feel of the house. 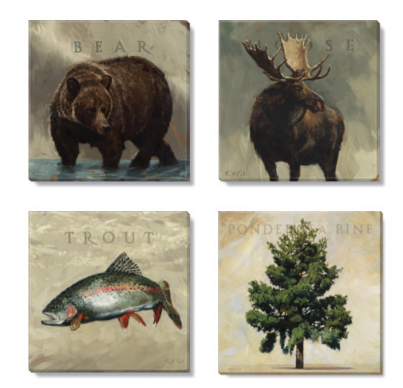 This collection provides a lower cost option for homeowners to create clusters of artwork on their walls instead of buying one large piece and being stuck with it for years to come. Unlike the poster prints I bought in college and early adulthood, these are canvas prints. The entire production process from concept, painting of the original piece, digital reproduction onto canvas, and then gallery-wrapping over a wood frame is quite amazing. And, the final product shows the care put into production. Each image in the Darren Gygi Home Collection is available in 3 sizes: small (9” x 9”), medium (14” x 14”), and large (20” x 20”). For the narrow-format sets, the three sizes are 6” x 18”, 8” x 24”, and 10” x 30″. Through grouping of different sizes or several of the same smaller size, you can achieve a custom look for your home decor. Looking through The Darren Gygi Home Collection this past May, I felt several different sets calling to me. There is quite the variety of sets which are grouped by themes and seasons. If we still lived in our rental house in Maryland, I might have picked out something reflective of the proximity to the water. While the house did not sit on the water, we could walk to it and enjoy the small community beach. If our kitchen had space for hanging artwork on the walls, I would have considered something from the many food groupings. The Lodge sets are the ones that ended up catching my eye. After all, we live in a real log home in Alaska. What’s more perfect against the logs than pictures of animals you’d expect to see roaming outside? A short while after my order was placed, I had the Moose print arrive at our house. It was inside of a plastic bag and protected with foam corners for shipping. 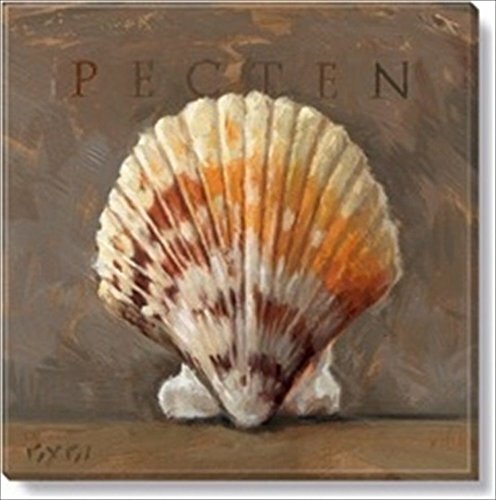 The back of the canvas art print has a bit on the piece and artist as well as a toothed hanger. 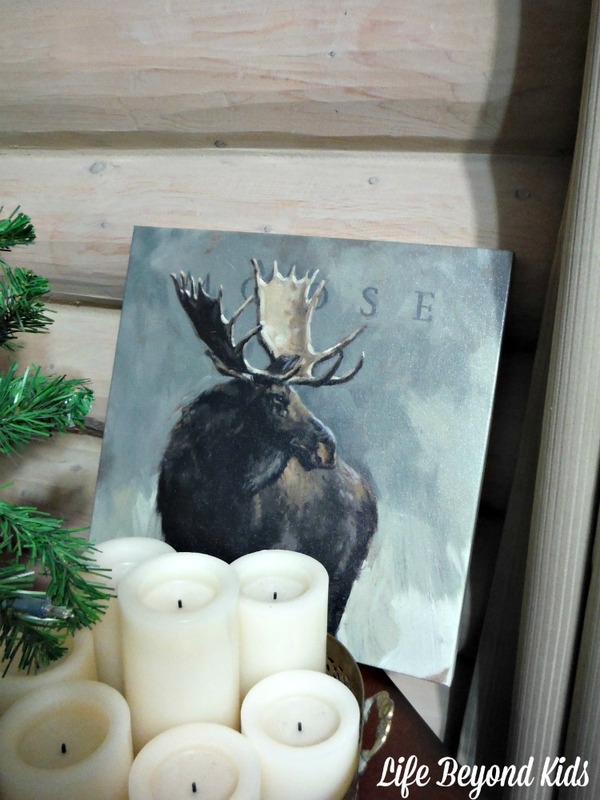 After taking it from the box, I just needed to find a good spot to hang my Moose canvas art print. Keeping my husband in mind, I thought it would be nice to bring something a bit more masculine (like this print) into our bedroom. I began by it hanging on the wall near my nightstand. There hasn’t been anything hanging over there since we moved into our house. That small section of wall is crying out for adornment. Then, I decided to see how it might look over by the small electric fireplace we have in the corner. 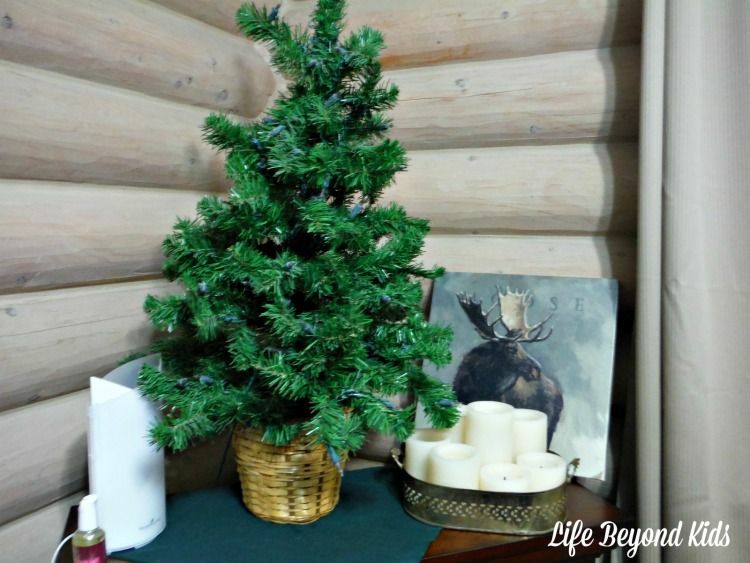 I placed it on the fireplace by my candle cluster to see how it would pair with the candles and small evergreen tree. The contrast against the evergreen tree looks great, even just resting alongside the wall. I am going to test both locations a while longer for several days at a time before making that commitment of placement. Personally, I am leaning towards having it by the fireplace. Although, that might have me wanting a few more pieces from the Lodge set to bring it all together. 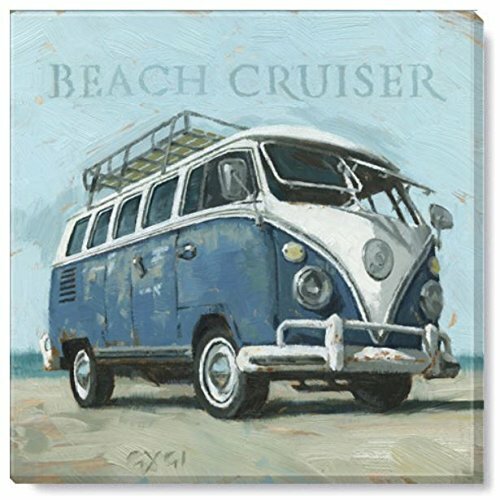 And, I found a few of his prints available on Amazon (affiliate) Has me wishing we lived near a beach still! How do you deck the walls in your house? I love nature art! I haven't heard of this artist's work, but I can tell he's good at what he does. Fantastic likenesses! Wow i love this. Very rustic and homey. 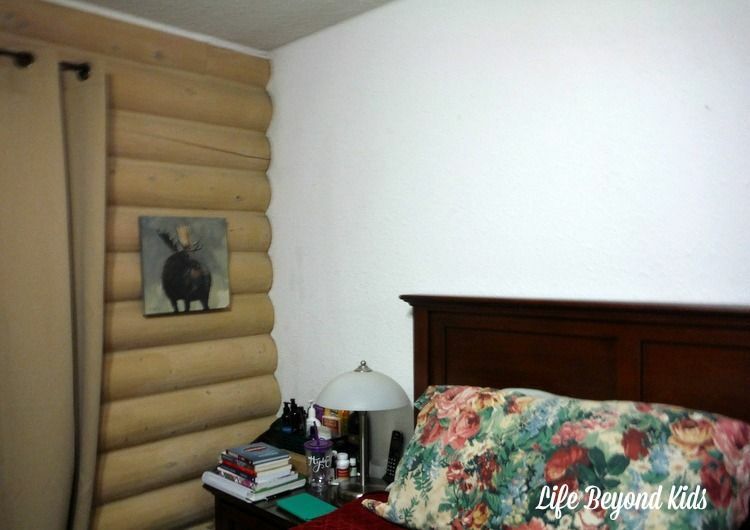 I see this and I imagine a beautiful log cabin in the mountain. These are stunning! This type of artwork would be perfect for our home's decor. I really like all of them. If I had to choose one it would be the ponderosa pine tree. This is such a gorgeous piece! I am looking for new items for my house, my current ones are driving me crazy. I am going to have to check this out! I've admired Darren Gygi art before, and love all of it. :-) I especially like the Lodge and Western sets, both of which would suit my living room perfectly. I'm also drawn to the Messenger Birds set, although I'm not as sure where I would put those! I really like the bird ones, too. Really love the nature aspect of the art. I admit I keep saying I'll put up a painting/print or two but never seem to get around to it. Heck we barely have photographs on display. It's on my to-do list though! These look good, but they're not really my style. I can see them in a rustic wood cabin or country style home tho! Yvonne, I only showed the one set where mine came from for the review. He has a LOT of options in the collection. I love animal pictures. They make me happy. The ones you have here are very pretty and would look great on my wall. These are such beautiful nature prints. I love the cluster look of prints and find them to be so versatile in pretty much any room in the house! The aloe print catches my eye. It reminds me of my grandmother in Spain and I know she would love it. I really like these pieces. You've styled them really well in your home and have given me a lot of inspiration ! I've been browsing Darren's site and there are so many pieces I like! He's very talented. The Messenger Chickadee is a favorite of mine. All of them are so nice looking! I'm totally guilty of leaving walls bare. We've been talking about moving for at least a year, so I'm always hesitant to put things up. Great looking pictures. What a wonderful collection. Thank you for sharing and giving us the chance to see them and letting us know how to own them ourselves. If only it was an international competition :/ I would have loved the stag painting. I love how well it goes in your own home and the evergreen tree is a nice touch too. The only thing on my walls are photographs. I'm a minimalist by nature. That said, every now and then I think about making a few changes decor wise. The Buoy is my favorite, I really loveit.